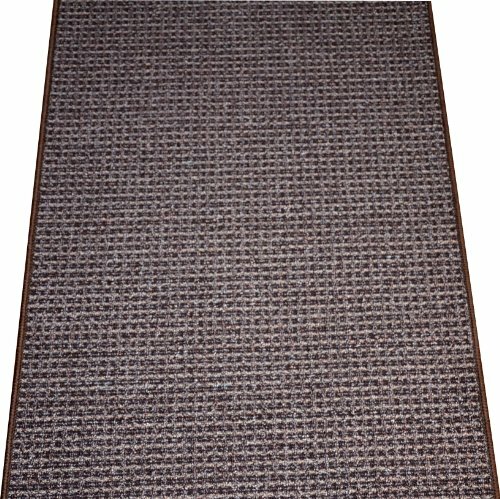 Washable non-skid carpet rug runner by Dean Flooring Company. Matches Dean Flooring Company stair treads. Polypropylene pile with a machine washable non-skid latex backing (wash on delicate in cold water, line dry). Also easy to spot clean or vacuum. Reduces noise. Reduces wear and tear floors. Warm and comfortable. Great for kitchens, bathrooms or hallways. Edges are finished (serged) with color matching yarn. Approximately 27" x 60". If you have any questions about this product by Dean Flooring Company, contact us by completing and submitting the form below. If you are looking for a specif part number, please include it with your message.